Scores of studies reveal the anticancer effects of flaxseed. 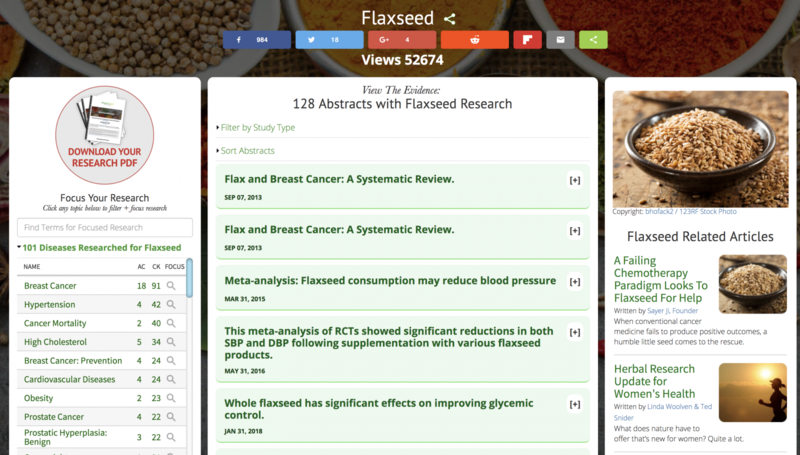 Researchers from the University of Toronto reviewed the literature to answer questions about the compounds found in flaxseed and how effective they are in reducing breast cancer risk and tumor growth, and whether flaxseeds interact beneficially with breast cancer drugs. They reviewed in vitro, animal, observational, and clinical studies on flaxseed and flaxseed oil, as well as lignans found in flaxseed. Lignans are a class of phytoestrogens or plant estrogens that also act as antioxidants. Other foods also contain lignans including sesame, sunflower and pumpkin seeds, grains (rye, barley, wheat and oats), broccoli and beans. But flaxseed has hundreds of times the amount of lignans as any of the others. The majority of animal studies show a diet of 2.5%-10% flaxseed or the equivalent amount of lignan or flaxseed oil reduces tumor growth. Diets consisting of 10% flaxseed and the equivalent amount of lignans do not interfere with but rather increase the effectiveness of tamoxifen. A diet of 4% flaxseed oil increases trastuzumab/Herceptin effectiveness. Observational studies show flaxseed and lignan intake, urinary excretion, or serum levels are associated with reduced breast cancer risk, particularly in postmenopausal women. Lignans reduce breast cancer mortality by 33% to 70%. They also reduce all-cause mortality by 40%-53%. In both cases, lignans do not reduce the effectiveness of Tamoxifen. Clinical trials show that taking 25 grams per day of flaxseed (containing 50 mg lignans) for 32 days reduces tumor growth in breast cancer patients. Taking 50 mg of lignans for one year reduces breast cancer risk in premenopausal women. Lignans block tumor blood supply. Tumors need angiogenesis - new blood vessels - to supply oxygen and nutrients for growth. Flaxseeds inhibit the growth factor needed to stimulate angiogenesis according to animal studies. 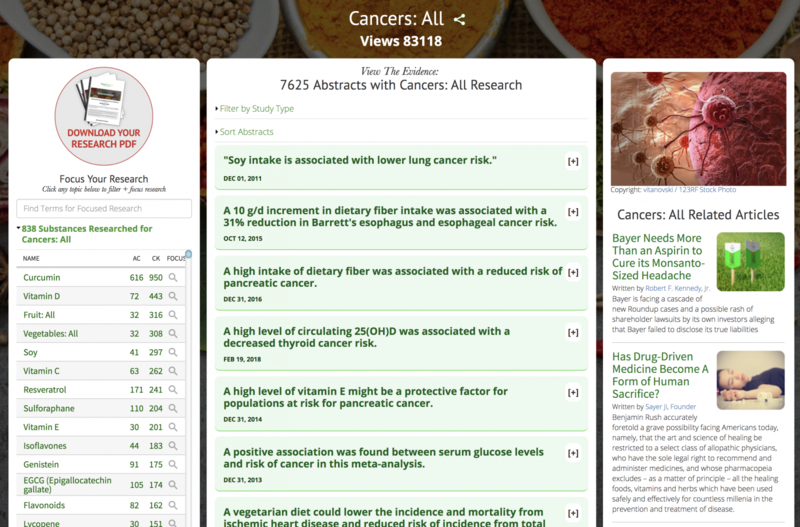 Adding cancer-protective flaxseed to your diet is easy. Many of the studies show just 25 grams (2.5 tablespoons) per day is effective. Studies also show that up to 40 grams per day are safe in postmenopausal women. Choose either golden or brown flaxseeds but make sure they're organic to avoid agrochemical laden varieites. Grind the seeds in a coffee bean grinder. But ground flax will go rancid so grind only a week's worth and store it in an airtight container in the refrigerator or freezer. Add 1 or 2 tablespoons to cereals, smoothies, yogurt or salads. You can also add it to baked breads and muffins. Aim for 2 to 4 tablespoons per day but work up to that gradually so that your digestive system adjusts to the high fiber content.